Canterbury is a region of extensive views, as artists soon recognised. 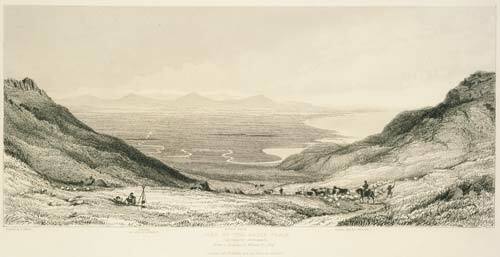 This 1851 etching, ‘Part of the great plain, Canterbury settlement’, is from a drawing by William Fox. The vista stretches from the Bridle Path, at the top of the Port Hills, and across the Canterbury Plains, where the Heathcote River winds to the coast. The hills of North Canterbury are in the distance.